Effective design and management of Supply Chain Networks (SCN) support the production and delivery of products at low cost, high quality, high variety, and short lead times. In this study, a SCN is designed for an automotive company by integrating various approaches. The study has been carried out in two phases: The first phase involves selecting suppliers and distributors by using Data Envelopment Analysis (DEA) and integer-programming model. In the second phase, first the priority ranking of selected suppliers and distributors is determined using the Analytical Hierarchy Process (AHP) and then these priority rankings are integrated into the transportation models developed to identify the optimal routing decisions for all members of the supply chain. Abdallah, T., Diabat, A., & Simchi-Levi, D. (2012). Sustainable supply chain design: a closed-loop formulation and sensitivity analysis. Production planning & control, 23(2-3), 120-133. Amin, S. H., & Zhang, G. (2012). An integrated model for closed-loop supply chain configuration and supplier selection: Multi-objective approach. Expert systems with applications, 39(8), 6782-6791. Babazadeh, R., Razmi, J., Pishvaee, M. S., & Rabbani, M. (2017). A sustainable second-generation biodiesel supply chain network design problem under risk. Omega, 66, 258-277. Bai, X., & Liu, Y. (2016). Robust optimization of supply chain network design in fuzzy decision system. Journal of intelligent manufacturing, 27(6), 1131-1149. Brandenburg, M., Govindan, K., Sarkis, J., & Seuring, S. (2014). Quantitative models for sustainable supply chain management: Developments and directions. European journal of operational research, 233(2), 299-312. Chaabane, A., Ramudhin, A., & Paquet, M. (2012). Design of sustainable supply chains under the emission trading scheme. International journal of production economics, 135(1), 37-49. Cohen, M. A., & Lee, H. L. (1985). Manufacturing strategy. In The management of productivity and technology in manufacturing (pp. 153-188). Springer, Boston, MA. Cohen, M. A., & Lee, H. L. (1988). Strategic analysis of integrated production-distribution systems: Models and methods. Operations research, 36(2), 216-228. Cohen, M. A., & Lee, H. L. (1989). Resource deployment analysis of global manufacturing and distribution networks. Journal of manufacturing and operations management, 2(2), 81-104. Desport, P., Lardeux, F., Lesaint, D., Cairano-Gilfedder, C. D., Liret, A., & Owusu, G. (2017). A combinatorial optimisation approach for closed-loop supply chain inventory planning with deterministic demand. 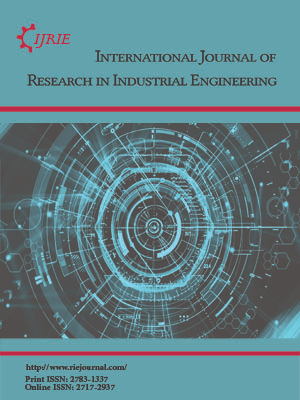 European journal of industrial engineering, 11(3), 303-327. Easwaran, G., & Üster, H. (2010). A closed-loop supply chain network design problem with integrated forward and reverse channel decisions. Iie transactions, 42(11), 779-792. Farahani, R. Z., Rezapour, S., Drezner, T., & Fallah, S. (2014). Competitive supply chain network design: An overview of classifications, models, solution techniques and applications. Omega, 45, 92-118. Fattahi, M., Govindan, K., & Keyvanshokooh, E. (2017). Responsive and resilient supply chain network design under operational and disruption risks with delivery lead-time sensitive customers. Transportation research part E: Logistics and transportation review, 101, 176-200. Geoffrion, A. M., & Graves, G. W. (1974). Multicommodity distribution system design by Benders decomposition. Management science, 20(5), 822-844. Govindan, K., & Fattahi, M. (2017). Investigating risk and robustness measures for supply chain network design under demand uncertainty: A case study of glass supply chain. International journal of production economics, 183, 680-699. Govindan, K., Fattahi, M., & Keyvanshokooh, E. (2017). Supply chain network design under uncertainty: A comprehensive review and future research directions. European journal of operational research, 263(1), 108-141. Gupta, S., & Palsule-Desai, O. D. (2011). Sustainable supply chain management: review and research opportunities. IIMB management review, 23(4), 234-245. Hasani, A., & Khosrojerdi, A. (2016). Robust global supply chain network design under disruption and uncertainty considering resilience strategies: A parallel memetic algorithm for a real-life case study. Transportation research part E: Logistics and transportation review, 87, 20-52. Jiang, D., Li, H., Yang, T., & Li, D. (2016). Genetic algorithm for inventory positioning problem with general acyclic supply chain networks. European journal of industrial engineering, 10(3), 367-384. Keyvanshokooh, E., Ryan, S. M., & Kabir, E. (2016). Hybrid robust and stochastic optimization for closed-loop supply chain network design using accelerated Benders decomposition. European journal of operational research, 249(1), 76-92. [Luthra, S., Govindan, K., Kannan, D., Mangla, S. K., & Garg, C. P. (2017). An integrated framework for sustainable supplier selection and evaluation in supply chains. Journal of cleaner production, 140, 1686-1698. Talluri, S. (2000). A benchmarking method for business-process reengineering and improvement. International journal of flexible manufacturing systems, 12(4), 291-304. Talluri, S., & Baker, R. C. (2002). A multi-phase mathematical programming approach for effective supply chain design. European journal of operational research, 141(3), 544-558. Torabi, S. A., Namdar, J., Hatefi, S. M., & Jolai, F. (2016). An enhanced possibilistic programming approach for reliable closed-loop supply chain network design. International journal of production research, 54(5), 1358-1387. Zhou, G., & Min, H. (2011). Designing a closed-loop supply chain with stochastic product returns: a Genetic Algorithm approach. International journal of logistics systems and management, 9(4), 397-418.